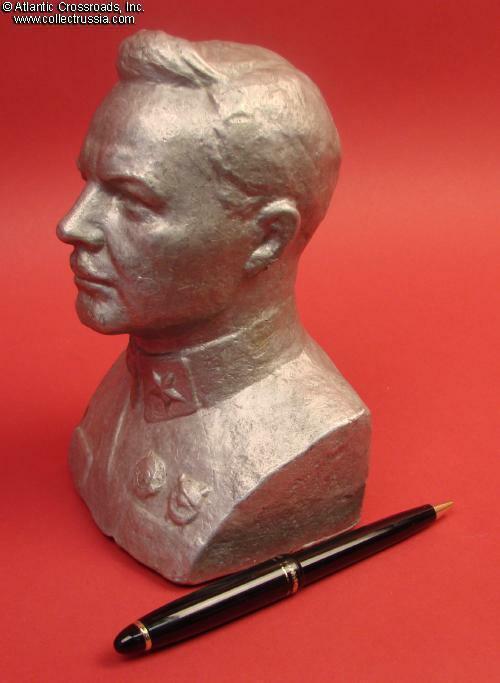 Marshal Voroshilov, bust in Silumin alloy with silver finish, dated 1979. Measures 7" tall. 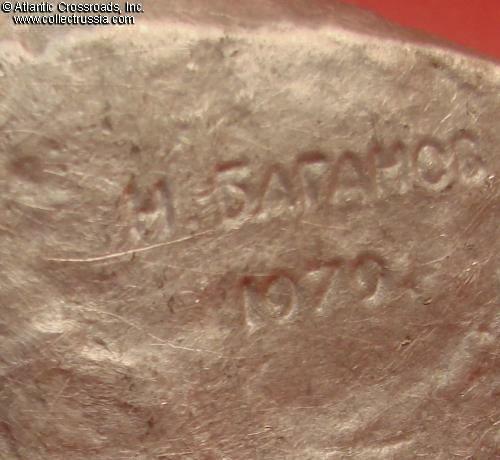 The original statue was created by N. Baganov; the name of the sculptor and the date are engraved on the back. 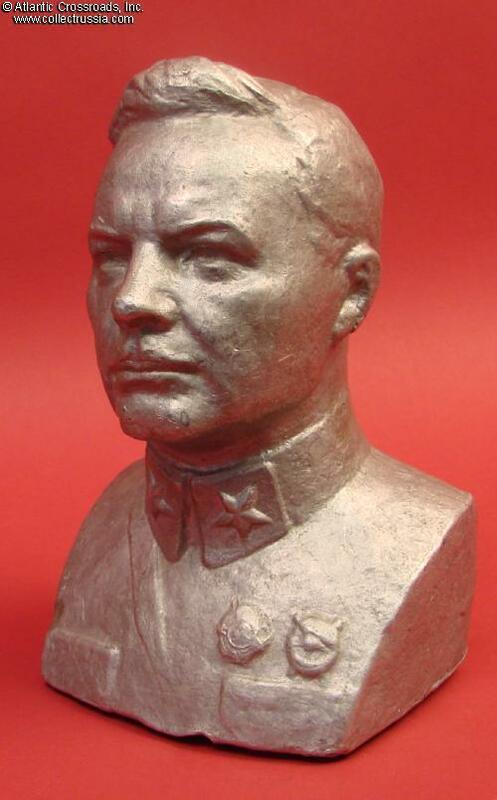 The statuette shows Voroshilov wearing a M 1935 uniform of Marshal of the Soviet Union, with two decorations on his chest: Order of Lenin and Order of the Red Banner of RSFSR. In very good condition. The finish is very well preserved. There are a couple of casting flaws running vertically along the cheeks and temples, but they are only noticeable at very close inspection and are not visually detracting. 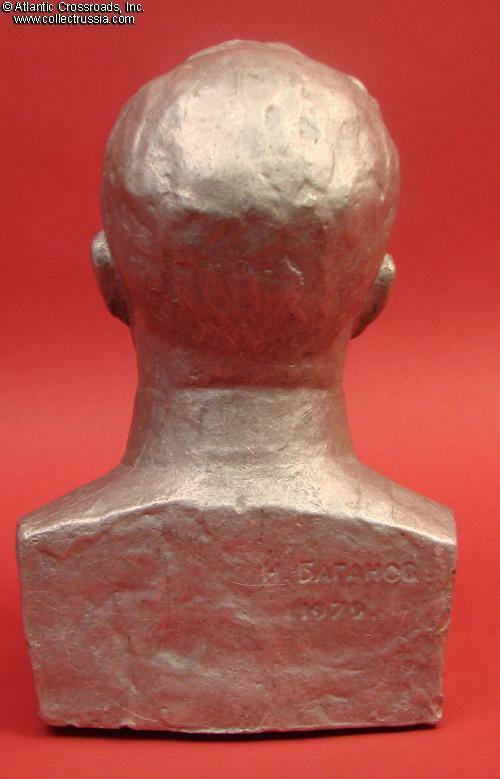 The bottom edge has some nicks and there are few dings and tiny marks elsewhere, but none of will be really noticeable - this compact size bust will display very nicely on the desk or bookshelf. 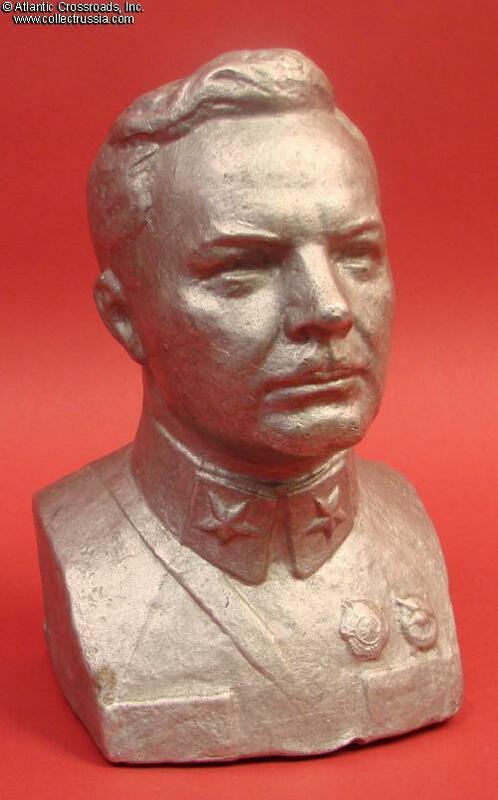 Kliment Voroshilov was one of the top Bolshevik military commanders of the Civil War and by the 1930s he was made a cult figure. He always remained a close ally of Stalin and was one of only two Soviet marshals who survived the Great Purge.